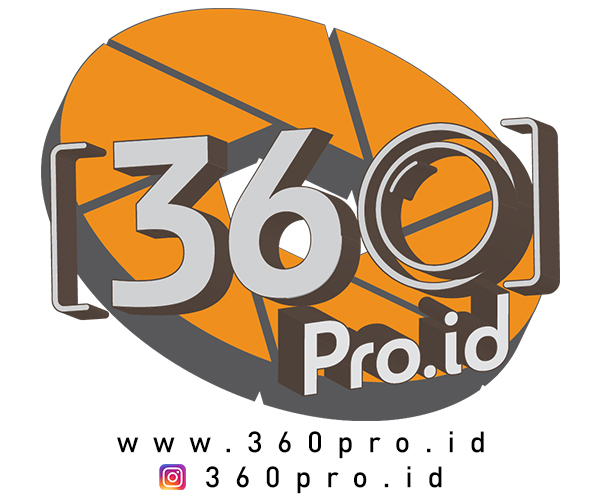 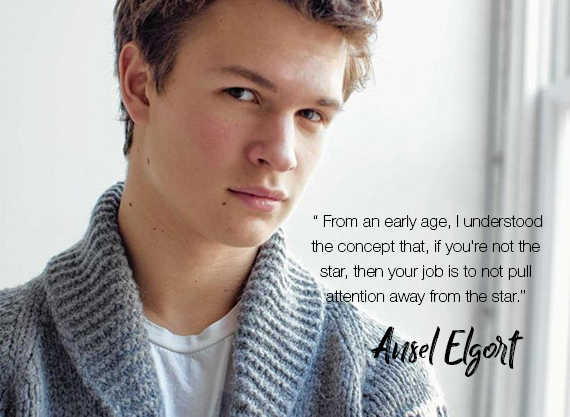 Physically, the young actor seems to have it all to be a successful basket ball player –with height 1.91m, but Ansel chose to hone his acting skill. 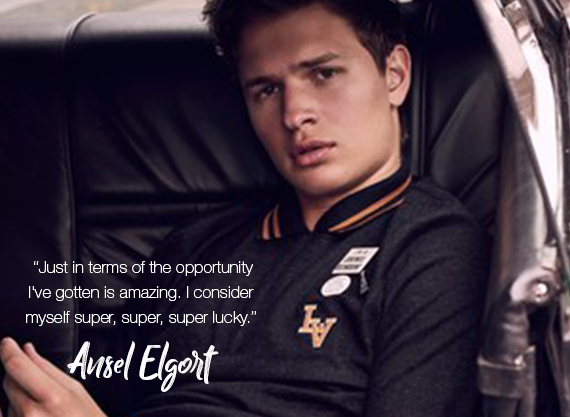 First noticed by public through his character as Caleb Prior in The Divergent Series back in 2014-2016, the actor never stopped expanding his talent even further as seen in The Fault in Our Stars and his stellar performance in Edgar Wright’s action thriller Baby Driver (2017). 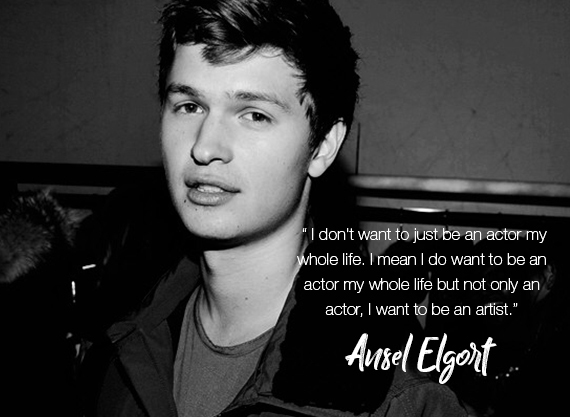 His interest doesn’t stop in the acting scene, but also in sports, arts, and music. 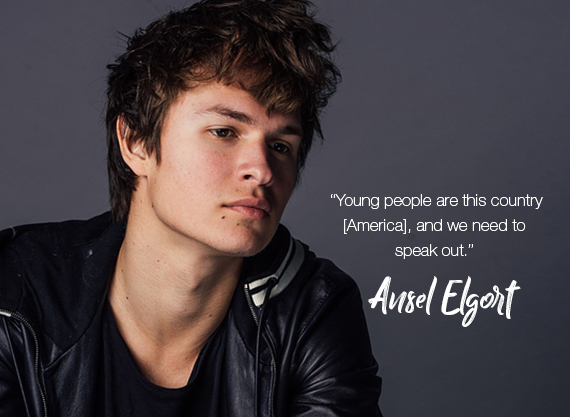 Known as Ansølo – his DJ name, he prove to fans his seriousness in music through the first debut/single Home Alone released in July 2016 and Thief in February 2017. 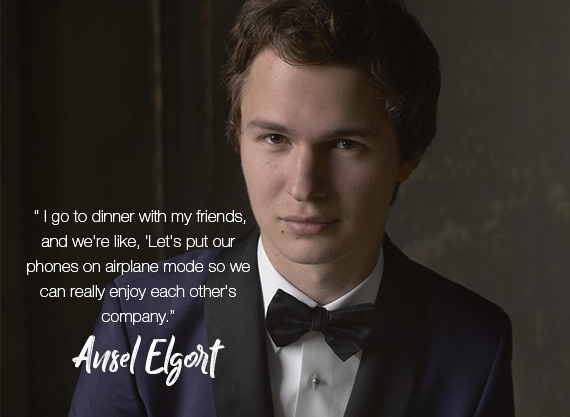 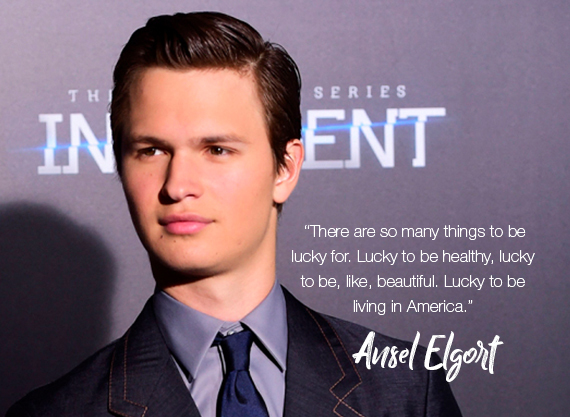 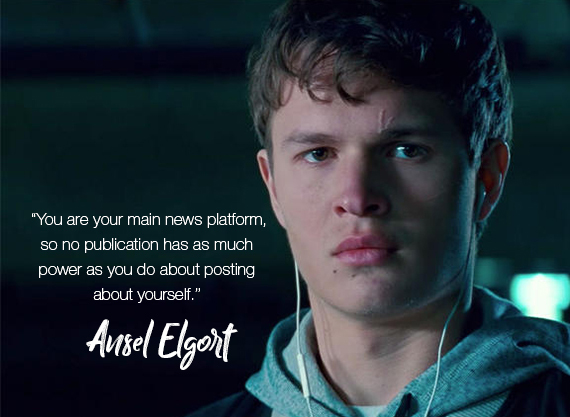 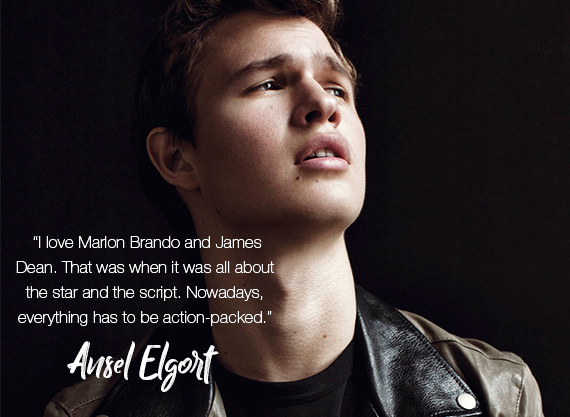 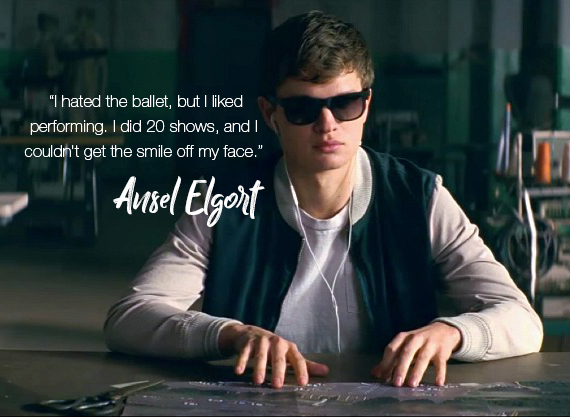  And there’s so much more to Ansel than meets the eye, thus Letter F has compiled best 9 quotes from the 23-year-old actor.